Ladies listen up! What’s better than getting a gift card for your man this year? Getting him Guys Grooming gift card! They really know how to make guys feel like a million bucks. Get him something this Christmas he might not get for himself, Trust us he’ll thank you for it later. Grooming can be as simple as just a great style cut or as complete as a skin, waxing & hair regime. Grooming is whatever you need to present & feel your best on a daily basis. From young students to retiring CEO’s, we all know that grooming is important to our success & demands experts who really care. 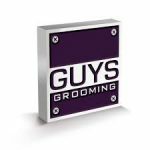 Guys Grooming services include body relaxation services such as massage, tanning, and detox sauna, men’s facials, men’s haircuts, hand and feet detailing, straight blade shaves and head shaving, and men’s full body waxing. We’ve partnered up with the Guys Grooming team to give away 3 of their luxury packages. All you have to do is jump over to our Facebook page, and tell us why the man in your life needs some well-deserved man-time. Whether it’s your hubby, dad, brother or neighbour who works long hours, runs the kids around or just doesn’t take time out for himself, treat him with a bit of luxury. The best way to unwind after conquering the business world. He will switch off with 60 minutes of massage in one of our treatment rooms before lying down in our bespoke barber chair for a Traditional Face Shave experience. It is good to be the boss. Turn back time with this age-defying package. Starting with a Cut and Style experience followed by a Camo Colour service to reduce the grey hairs, he will also enjoy our signature 1 hour facial to bring his skin back to its best and a tidy up of his eyebrows, nose or ear hairs to finish. Perfect for grooming up for a school reunion, new job or just to look great for his age. Competition closes 11.59pm Thursday 6th December. 3x winners will be drawn Friday morning. 1x winner will receive the boss package, 1x winner will receive the interview package and 1x winner will recieve the recycle package. Voucher to be redeemed at Perth location within 12 months.